and sports-crazed, blue-collar and tony. During one remarkable, 768-day stretch between February 9, 1967 and March 17, 1969, the sun shone every single day in St. Petersburg, earning the city a spot in the Guinness Book of World Records. It was good news both for snowbirds and for the Evening Independent, St. Petersburg’s afternoon newspaper. On a slow news day in 1910, the Independent’s publisher had come up with a brilliant marketing plan. On days when the sun didn’t shine, the paper would be free. The risk was small, since the Tampa Bay area enjoys sunny weather an average of 361 days per year. But the publicity the stunt generated was priceless. Yet, if sun and surf attract people to the region, plenty of other cultural and recreational opportunities—as well as a thriving economy—keep them here. Are you considering a move? Following is a regional neighborhood-by-neighborhood primer. With so many choices, you’re sure to find a home ideal for you and your family. Brandon Settler John Brandon gave his name to this sprawling community in the 1850s and the railroad arrived in 1890. But not much else of significance happened here until 145 years later, when the giant Westfield Brandon mall opened. Even then, plenty of cows were around to witness the hoopla. A herd of curious bovines, kept in a field near the mall, broke through a barbed wire enclosure and into the parking lot, startling drivers and pedestrians and leaving odorous souvenirs behind on an otherwise festive opening day. Cattle are getting rarer in Brandon, which is located conveniently at the end of the Lee Roy Selmon Crosstown Expressway and near the junction of I-4 and I-75, creating easy access to both Tampa and Orlando. In 1960, the first year a census was taken of Brandon, there were 1,655 residents. By 2010 there were 112,075 . The geographic boundaries have grown as well, with Brandon now encompassing an area south of I-4, east of I-75 and south to Big Bend Road. The towns of Lithia, Seffner, Mango and a new rising star, Dover, are all considered part of the Brandon area. Despite its size, Brandon isn’t a city. Instead, it’s one of the largest unincorporated communities in Florida. And it’s known for its family-oriented neighborhoods and excellent local schools. There are several nearby entertainment venues. The Florida State Fairgrounds provides year-round events and festivals while the theatre on the fairgrounds regularly presents pop, country and rock concerts. The Seminole Hard Rock Hotel & Casino, complete with a 50-foot-tall guitar at the entrance, offers live entertainment, restaurants and bars and a full-service spa as well as slot machines, card games and roulette wheels. It describes itself as the world's sixth largest casino with 190,000 square feet of non-stop gaming action, including more than 4,500 slot machines, 110 tables games such as Blackjack, Midi- and Mini-Baccarat, Pai Gow Poker, Asia Poker, Three-Card Poker, Let it Ride Poker and Texas Hold 'Em Bonus Poker. Tampa started out as Fort Brooke, built in 1824 overlooking Hillsborough Bay. The peninsular Tampa area, which juts out into Tampa Bay, has had a military presence ever since. In 1898, during the Spanish-American War, Tampa was a major staging ground for 30,000 of Teddy Roosevelt’s Rough Riders, who were preparing to invade Cuba. And MacDill Air Force Base is on the tip of the Interbay Peninsula, eight miles from downtown. For many years, downtown Tampa was only a place to work. Now it’s increasingly becoming a place to live as well, with hundreds of condominiums rising from the downtown core through the Channelside District, adjacent to the Port of Tampa, and all the way to historic Ybor City. The city’s impressive skyline marks the bustling waterfront region and provides a gleaming glass-and-steel backdrop for many of the area’s high-profile attractions. The St. Pete Times Forum – home to the NHL’s Tampa Bay Lightning and Tampa Bay Storm of the Arena Football League –Channelside Bay Plaza entertainment complex, Florida Aquarium, Yacht Starship, American Victory Ship Mariners Museum and Ybor City provide plenty of opportunities for fun and relaxation on or near the water. The west side of downtown, along the scenic Hillsborough River and connected by the recently completed Riverwalk, is home to the Tampa Convention Center, Tampa Bay History Center, the Tampa Museum of Art (rebuilt from the ground up in 2010), Florida Museum of Photographic Arts , University of Tampa, Henry B. Plant Museum (formerly the Tampa Bay Hotel), the new Tampa Bay History Center, and the David A. Straz, Jr. Center for the Performing Arts (formerly the Tampa Bay Performing Arts Center). But there’s probably no place in Hillsborough County with a more active nightlife than Ybor (pronounced E-bore). This funky National Historic Landmark District—the second largest in Florida, after St. Augustine—was once home to cigar factories where Cuban immigrants toiled, hand-rolling cigars as el Lector read newspapers and novels to them. Ybor’s energy has attracted a burgeoning creative class, including architects, engineers and designers. And on the east side, there’s an industrial area teeming with manufacturers and distributors. Adjacent to Ybor is one of Tampa’s newest and fastest emerging residential communities, Channelside. A decade ago, few would have been brave enough to predict a condominium craze in this once gritty industrial seaport district. But considering the spectacular waterfront views from up high, it’s surprising that it took so long. For generations, Bruce B. Downs Boulevard had been known as “the Road to Nowhere,” carved out so a few prominent families could access their hunting camps in northeast Hillsborough. Eventually, much of the land was sold off in large tracts to developers, including a Denver wheeler-dealer named Ken Good, who developed 9,100 acres as Tampa Palms. In 1985 he convinced the city of Tampa to annex the land, which was barely contiguous to Tampa proper. It became the city’s largest annexation of residential acreage in100 years. Good’s grasp eventually exceeded his reach, but Tampa Palms survived his personal and financial travails, eventually inspiring a generation of developers to build similar master-planned communities, which are now the backbone of New Tampa. 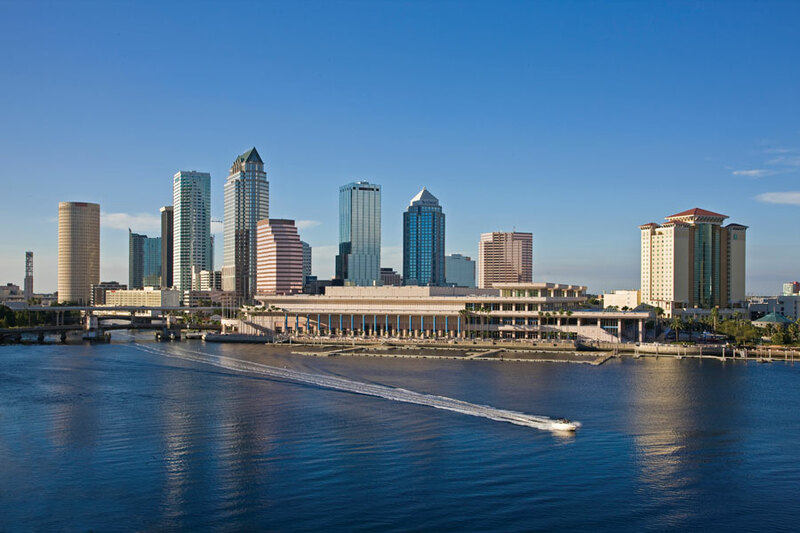 In 1993, business leaders formed the Northeast Area Council and christened the area New Tampa, a name intended to give it a distinct identity while firmly tying it to Tampa proper. Carrollwood is a rapidly growing community 15 miles northwest of downtown Tampa, although longtimers tend to view it as two communities: “Original” Carrollwood and “New” Carrollwood. Original Carrollwood is defined as the 983 homes built from the 1950s through 1974 by developer Matt Jetton. Those 983 homes, all with access to 200-acre Lake Carroll, sold from $20,000 to $40,000. Original Carrollwood residents are enthusiastic about the community’s new recreation center and facilities for both lake parks that lie within its borders. New Carrollwood is far more diverse, with 30 communities offering homes in many styles and price ranges. Located just minutes southwest of downtown, South Tampa features the longest continuous sidewalk in the world—yes, the world— along beautiful Bayshore Boulevard overlooking Hillsborough Bay. The bayfront is the site of Gasparilla, Tampa’s longest- running and most renowned event. Since1904, the city’s movers and shakers in Ye Mystic Krewe Gasparilla have donned pirate garb, boarded a replica pirate ship and “invaded” Downtown Tampa. The colorful celebration, held each winter, has parades, balls, fireworks and other festivities. But South Tampa is home to more than Gasparilla. It also boasts a huge number of eclectic neighborhoods. The Palma Ceia Community and Country Club and Bayshore Yacht Club have traditionally been home to the city’s power-elite. But all of Bayshore Boulevard, with its majestic homes and its see-forever views, is a magnet for the wealthy. One prestigious address is Hyde Park, which has a healthy stock of renovated older homes and an eclectic outdoor shopping district called Hyde Park Village. MacDill Air Force Base, activated in 1941, sits at the tip of the Interbay Peninsula. Today, MacDill is home to the U.S. Special Operations Command. It gained international prominence during Operation Desert Shield and Operation Desert Storm as the home base of U.S. Central Command and Gen. Norman Schwarzkopf. South Shore is a relatively new name for an area previously known generically as “South County.” The rapidly developing South Shore region includes the communities of Apollo Beach, Riverview, Gibsonton, Ruskin and Sun City Center. An estimated 15,000 new homes are on their way here and more are in the pipeline. Following is a look at the five communities of South Shore from north to south. Riverview, first named Peru, was settled on the banks of the Alafia River in1856 and received its supplies from Tampa via a small steamboat. Now, thanks to modern roads, Riverview is just minutes from downtown yet maintains the feel of a small town, where residents can enjoy canoeing or fishing on the river or bay. Gibsonton enjoys a global reputation for its ties to circus performers who winter there and affectionately call it “Showtown USA.” The National Showmen’s Association is headquartered there, and a permanent museum is planned to commemorate the community’s wilder days. Apollo Beach has a front-row waterfront seat on the bay as well as 55 miles of navigable canals, making it a haven for lovers of water sports. All that water provides a tranquil setting or outdoor events and festivals, including the Manatee Arts Festival. Ruskin was founded in 1910 as a socialist colony by George M. Miller, a Chicago lawyer and educator. It was named for British social philosopher John Ruskin, an active promoter of art education and museums for the working class. But Ruskin is now more associated with the prized plump tomatoes grown there than with any social philosophy. In addition to its tomato patches, the community at the mouth of the Little Manatee River also boasts sun-dappled inlets and bright bay waters, mangrove islands and marshy canoe trails. Sun City Center, about 25 miles southeast of Tampa, was one of the nation’s first active-adult communities. It remains popular for busy 55-plus homebuyers. Residents enjoy more than 200 arts, social, craft and civic clubs as well as a plethora of activities—most notably golf—and special events year-round. Plant City, the self-proclaimed “Strawberry Capital of the United States,” is one of the area’s older communities. As early as 1839, Fort Hichipucksassa—named for an Indian village—was here, housing several hundred intrepid settlers. In 1843, a town was platted bearing the same tongue-twisting name. But when a post office was established six years later, an Irish postmaster is said to have re-named the community Cork because of the not-so-surprising difficulty even locals encountered when trying to spell or pronounce the original moniker. The area was incorporated as Plant City in 1885, but the name had nothing to do with agriculture; it refers to railroad magnate Henry B. Plant, who extended tracks to the burgeoning community. Today, Plant City’s downtown is charming and picturesque, its brick streets lined with small shops, restaurants and antique emporiums. Three buildings are on the National Register of Historic Places. Plant City, population 33,000, is also the world headquarters of the International Softball Federation and the future site of the World Softball Hall of Fame. But it’s the city’s agricultural heritage that’s celebrated each spring during the 11-day Strawberry Festival. The big event, which attracts more than 800,000 people, features sweet strawberry shortcake, big-name country musicians, rides and exhibits. Sandwiched between Tampa proper and New Tampa, Temple Terrace may appear to be just another difficult-to-distinguish suburb. But this city of 23,000 is one of only three municipalities in all of Hillsborough County—the others are Tampa and Plant City—and has a rich history all its own. Developers Burks Hamner, Vance Helm and D. Collins Gillette bought the land that would become Temple Terrace in 1920 and 1921 from the Potter Palmer family, who had been using it as a hunting preserve. The trio began carving homesites and a golf course out of dense woods. The city of Temple Terrace, named for the Temple orange, was incorporated in 1925. Sadly, however, most of the orange trees were wiped out by freezes in the winter of 1927 and 1928. The stock market crash in 1929 put an end to most development. Growth in Temple Terrace resumed during the housing boom following World War II. And although the city is now mostly built-out, planners have revived the idea of building a downtown district. Thonotosassa, located just east of Temple Terrace, was settled by the Seminole Indians and named for its abundant stocks of flint. With rolling hills, orange groves, mature trees and beautiful 900-acre Lake Thonotosassa, the area is drawing people seeking rural beauty near urban amenities. Some of the region’s best beaches are in Pinellas County, stretching north 35 miles from Fort De Soto to Fred H. Howard Park in Tarpon Springs. There are 12 beachfront communities, each with its own government and its own idiosyncrasies. Here are some beach community highlights. Fort De Soto, a county park, was chosen the best beach in the United States again in 2005 by “Dr. Beach,” a.k.a. Dr. Stephen Leatherman, a coastal scientist who issues an annual Top 10 list of beaches. The park also includes a beachfront campground where dogs are welcome. For those seeking more luxurious beachfront accommodations, head northwest to the historic Don Cesar Beach Resort, a pink confection that opened in 1928. There are three other substantial beach parks in Pinellas County. Sand Key Park, on the tip of the Sand Key barrier island, overlooks Clearwater Pass and the Gulf of Mexico. Honeymoon Island State Recreation Area, just across the causeway from Dunedin, was originally marketed in the 1940s as a getaway for newlyweds, who were invited to ensconce themselves in quaint thatched huts. If you’re looking to get even farther away, head to Caladesi Island. Accessible only by private boat or a ferry from Honeymoon Island, Caladesi is one of the few completely unspoiled islands left along Florida’s Gulf Coast. While Pinellas residents play at the beaches, many live, work and shop in Central Pinellas. The cities of Seminole, Largo and Pinellas Park all seem to blend together, but their location in the middle of the Pinellas peninsula certainly makes them convenient. Much of the county’s industrial heart is here, too. While tourism remains Pinellas’ biggest industry, manufacturing is making inroads. In fact, the county is second in the state in number of manufacturing employees. Location has made condominiums near the west side of the Gandy Bridge popular for buyers who commute to Tampa yet want to remain close to Pinellas’ beaches and other amenities. This densely populated area began booming in the late 19th century, when the Orange Belt Railroad made it a vital center of the Florida citrus industry. Heritage Village, in Largo, is a testament to that era. The park encompasses a village made up of 22 structures, some dating back to the mid-19th century. There’s a log house, said to be the oldest existing structure in the county, and the Victorian-era Seven Gables House. Clearwater’s charms were spotted early. Spanish explorers discovered freshwater springs burbling from tall bluffs overlooking the harbor and named the area Clear Water. These days, that same harbor view is accessible to everyone at Clearwater’s Coachman Park, home to the annual Clearwater Jazz Holiday Weekend. Clearwater became the county seat when Pinellas County separated from Hillsborough County in 1912. It’s now the county’s second-largest municipality. Tourism arrived early in Clearwater. When Henry Plant brought the railroad to town in 1897, he built the Belleview Biltmore Hotel on a bluff just south of Clearwater proper in Belleair. The 247-room wooden structure, which is listed on the National Register of Historic Places, has been shuttered for many years. With land ever scarcer, new residential development in Clearwater tends to be multifamily. But it’s the beaches, across the Clearwater Memorial Causeway Bridge from downtown, that are seeing the most activity, as mom-and-pop motels are replaced with high-rises. The Clearwater Marine Aquarium, located on Clearwater Beach, has long been a popular tourist attraction, but its appeal as a tourist attraction for families with young children went through the roof with the release of the 2011 feature film, Dolphin Tale. The movie propelled not only a 2014 sequel but also a new, 203,000-square-foot replacement Aquarium planned for downtown Clearwater at a reported cost of $160 million. Dunedin’s small but robust downtown is the envy of many other cities that have tried but failed to breathe new life into their city centers. The catalyst for its renaissance was the Pinellas Trail, an abandoned railroad corridor that now delivers gaggles of thirsty skaters and bicyclists directly to Dunedin’s Main Street. Plenty of restaurants accommodate the crowds, some featuring outdoor seating. Dunedin is the oldest city in Florida south of Cedar Key. It became a major seaport in the mid-1800s after a dock was built large enough to accommodate schooners and sloops. Originally called Jonesboro, after a general store owner, it got its present name in 1882 when two Scottish merchants circulated a petition calling for the post office to be named Dunedin, after the city in Scotland. Proud of its Scottish heritage, modern-day Dunedin hosts a Highland Games each spring. Art lovers flock to the Dunedin Art Harvest each fall, while the Toronto Blue Jays come to town each year for spring training. East Lake and Palm Harbor sit side-by-side in northern Pinellas County, divided by huge Lake Tarpon. Both communities are unincorporated, although Palm Harbor boasts a charming downtown with historic buildings. Thousands enjoy its many festivals, including the Palm Harbor Chamber Arts, Crafts and Musical Festival in December. While most of Palm Harbor is built out, two quaint villages with eclectic housing remain. Ozona, west of Alternate U.S. 19, is older than Palm Harbor and boasts its own post office as well as a popular circa-1900 recreation center. The community, which began as a fishing village, was originally called Yellow Bluff because it sat on a high mound of yellow sand visible from the bay. The name was discarded because boosters feared it would bring to mind yellow fever. The current, less frightening moniker may have been suggested by two doctors from Chicago and St. Louis who brought asthmatic patients to the area for treatment. Although “ozone” doesn’t have entirely favorable connotations today, at the time it was thought to suggest invigorating breezes. A little north of Ozona—and decidedly off the beaten track—is Crystal Beach, a tiny, Key West-style community with an eclectic assortment of homes. Until about 20 years ago, there were more cows than people in East Lake, which was home to sprawling Boot Ranch. Today, the only vestige of the community’s ranching heritage is the “Boot Ranch” name on a subdivision and an Albertsons/Target complex. A huge orange concrete cowboy boot that once marked the edge of Boot Ranch now welcomes grocery shoppers. While most people call the area East Lake, residents typically have Palm Harbor, Oldsmar or Tarpon Springs addresses. The springs bubbling up on the shores of Tampa Bay first brought people to Safety Harbor. The Timucuan Indians, who called the area Tocobaga, were here when the Spanish explorers Panfilo de Navarez and Hernando deSoto dropped by. De Soto, who was seeking the legendary Fountain of Youth, was particularly interested in the springs, which he named Espiritu Santo. The springs continue to lure those seeking to stem the ravages of age. The world-famous Safety Harbor Spa and Resort, which attracts visitors from across the country, is built over the springs and still uses its healthful waters for some spa treatments. St. Petersburg has undergone a complete personality change in the past 15 years. The once-sleepy city, formerly nicknamed “Heaven’s Waiting Room” for its plethora of senior citizens, is now bursting at the seams with new energy, new residents and new architecture. In other words, this isn’t your grandpa’s St. Petersburg. In fact, the burgeoning city is a leader in urban redevelopment, channeling a series of bold new projects into its downtown waterfront district. There’s the Beach Drive shopping and restaurant row, as well as Sundial (formerly BayWalk), a collection of upscale restaurants, shopping, a Marilyn Monroe Spa, and a 20-screen movie theater. Baseball lovers can cheer on the Tampa Bay Rays at Tropicana Field; in the off-season, the Trop is home to the bitcoin St. Petersburg Bowl (formerly the Beef O’Brady’s Bowl), televised nationally on ESPN. And the city becomes an urban racetrack once a year when the Honda Grand Prix of St. Petersburg comes to town. Museums have become a significant draw along the downtown waterfront. Joining the long-established Museum of Fine Arts and St. Petersburg Historical Museum are new international attractions including the brand-new Salvador Dali Museum and the Chihuly Museum. Next up is the just announced 90,000-square-foot Museum of the American Arts and Crafts Movement, expected to be completed in 2016. Good restaurants, museums, antique shops, a historic pier and a series of waterfront parks along Tampa Bay add up to a community that ranks high on any quality-of-life index. St. Petersburg proper got its start in 1875, when developer John Williams of Detroit bought 2,500 acres of land on Tampa Bay. He planned a city with parks and broad streets, features that are still there today. But while Williams had a vision for a city, it was a Russian aristocrat who helped him make the vision a reality. Williams made a deal with Piotr Alexeitch Dementieff, an exile of noble birth, offering him an interest in the land if Dementieff would build a railroad into the territory. In 1888, the enterprising Russian, who had simplified his name to Peter Demens, made good on his part of the deal when the first train on the Orange Belt Line chugged into town carrying empty freight cars and a shoe salesman from Savannah. The story goes that Williams and Demens tossed a coin to decide a new name for the town. Demens won, and the city was dubbed St. Petersburg, after the majestic Russian city from which he hailed. Downtown St. Petersburg is surrounded by neighborhoods boasting plenty of trees, wide streets and sidewalks ideal for evening strolls. Old Northeast, for example, is a shady historic district dating back to the early part of the 20th century with many architectural styles, including Bungalow, Colonial, Mediterranean and even Prairie-style homes. The Old Southeast, a rapidly evolving community that starts where the University of South Florida St. Petersburg campus, Bayfront Medical Center, brand new All Children’s Hospital, Salvador Dali Museum and Poynter Institute for Media Studies. More than 100 years ago, Greek sponge fishermen left Key West for Tarpon Springs when plentiful beds of the squishy sea creatures were discovered off the coast. Their impact was immediate and lasting. To this day, Tarpon Springs remains steeped in Greek culture. The Chamber of Commerce uses Greek alphabet characters along with traditional lettering on its Web site. Honey-laced baklava is a common dessert at restaurants. And St. Nicholas Greek Orthodox Cathedral, a replica of St. Sophia in Constantinople, remains a focal point. The annual January 6 celebration of Epiphany, the baptism of Jesus by John the Baptist, is thought to be the biggest Epiphany celebration in the Western Hemisphere, attended by tens of thousands. But there’s plenty to see and do here all year round. Tourists flock to the historic sponge docks on the Anclote River, where there are shops and educational exhibits showing the cumbersome diving suits once worn by sponge divers. Pasco County once had a split personality. The west-side communities of Holiday, New Port Richey and Port Richey were developed primarily for Midwestern retirees, who flocked to small, inexpensive homes up and down the U.S. 19 corridor. Meanwhile, the county’s east side, anchored by Dade City, remained vintage Florida. With the exception of Zephyrhills, which was—and still is—invaded by winter residents, the east side was populated mostly by natives, many of whom were longtime ranchers or citrus growers. But in recent years, as both Hillsborough and Pinellas counties have begun to run out of developable land, growth has begun marching steadily into Pasco. New subdivisions have been appearing along the entire width of the C.R. 54 corridor on the county’s southern boundary. On the east side, New Tampa’s growth has impacted Wesley Chapel and Zephyrhills, where pastures and groves are giving way to neighborhoods. And in the central part of the county, around Land O’ Lakes, the new Suncoast Parkway has opened up huge tracts for family-oriented, master-planned communities. But long before anybody thought of doing anything more than raising cattle and harvesting lumber in central Pasco, there were several thriving towns and communities in other parts of the county. Dade City became Pasco County’s seat of government in 1887, when Pasco and Hernando counties separated. Before that, it was an Indian trading post. Today, Dade City’s recently renovated, circa-1909 courthouse remains a focal point. Downtown, with its quaint antique shops and restaurants, draws visitors from all over Florida. Nearby San Antonio and St. Leo got their start in1882, when Edmund F. Dunne, former chief justice of the Arizona territory, was walking through the hills north of Dade City with his cousin. The pair spotted an unusually clear lake and decided that its shores would be an ideal spot for a Catholic colony. The pair named the lake Jovita because they had spotted it on the Feast Day of St. Jovita. In acknowledgement of an answered prayer, Dunne named his planned town San Antonio, after St. Anthony of Padua. St. Leo, originally a spin-off of San Antonio, sits just to the east. Its claim to fame is St. Leo University, a small liberal-arts college over-looking Lake Jovita. Unincorporated Land O’ Lakes is more of an area than a community. It didn’t even have an official name until about 1950, when several residents came up with the whimsical moniker and installed it on the local post office. The name fits; there’s more water than land in the area. However all that waterfront, and its location just across the line from Hillsborough County, has made Land O’ Lakes a desirable growth area. Developers have snapped up thousands of acres of ranchland and plan an array of new communities. New Port Richey, Pasco County’s largest municipality with 17,000 residents, was a quaint village on the Pithlachascotee River in the 1930s, when Works Progress Administration (WPA) writers dropped by to research their Guide to Florida. They extolled its abundant petunias, snap-dragons and sweet peas, as well as the roads, which were shaded by oaks and magnolias. Zephyrhills, described in a 1912 newspaper article as “the healthiest place in Florida,” is certainly the best-known Pasco County locale, thanks to Zephyrhills Brand Natural Spring Water, which is bottled here and sold around the world. Hernando County has thousands of acres of glorious nature preserves, a grand Southern belle of a county seat and a thriving new-home market. Yet its national claim to fame is a spring full of faux mermaids. Since 1947, tourists have visited Weeki Wachee Springs’ underwater theater to watch the mermaids perform underwater feats, discretely breathing through air hoses placed strategically in the scenery. The venerable tourist attraction, now in its seventh decade, is operated by the City of Weeki Wachee, population nine, and owned by the Southwest Florida Water Management District. Brooksville, the only other incorporated city in Hernando, is the county seat, and its history reaches back more than a century before mermaids began cavorting in the Weeki Wachee River. Fort DeSoto was built on the northeastern edge of present day Brooksville around 1840 to protect settlers from Indians. It also functioned as a trading post and a stop on the Concord Stage Coach Line, which ran from Palatka to Tampa. Originally known as Melendez, Brooksville was renamed by residents in honor of South Carolina Congressman Preston Brooks, a states’ rights advocate before the Civil War famous for beating an abolitionist senator over the head with his cane. Today, Brooksville, population 7,500, retains its historic charm. Victorian homes line brick streets near the picturesque downtown, which is packed with antique shops, restaurants and the distinctive brick courthouse. Unincorporated Spring Hill, on the county’s west side, was first developed in the 1960s by the Deltona Corporation. Since then the population has more than doubled, from about 30,000in 1990 to nearly 90,000 today. Master-planned communities are sparking growth in central and eastern Hernando County, thanks in part to the Suncoast Parkway, a 57-mile toll road that runs from the Veteran’s Expressway near Tampa International Airport to the Citrus County line. However, substantial portions of Hernando County remain pristine. The Chassahowitzka National Wildlife Refuge comprises a portion of Hernando’s northwest boundary, while the Withlacoochee State Forest and the slow-flowing Withlacoochee River frame its east side. Nearer the coast, the 6,000-acre Weeki Wachee Preserve provides a home for black bears and bald eagles. And just off the coast lies a long expanse of shallow water stretching far out from land, creating excellent “flats” fishing. Hernando Beach, in fact, is thought to be adjacent to the finest tarpon fishing grounds in the world. Sandwiched between Orlando and Tampa Bay, Polk County is a bit like an overlooked middle child, sometimes overshadowed by flashier younger and older siblings. But shine a spotlight on the county that sits in the geographical center of Florida and you’ll realize that, despite its low profile, Polk County is a special place indeed. It has picturesque small towns and giant master-planned communities; historic tourist attractions and a college designed by a legendary architect; a strong arts community and a diversified economy. Larger than Rhode Island and as big as Delaware, with a population of more than a half-million, Polk County has a key selling point that also sometimes causes it to be overlooked: its location between two metropolises that are steadily growing toward one another. But Polk boasts its own rich history and distinctive identity. Tourism was thriving in Polk years before Walt Disney started buying land in Central Florida, and continues to boost the local economy. Florida, a 1,150-acre theme park with more than 50 rides, shows, a water park and botanical gardens. And historic Bok Tower Gardens, with its 60-bell carillon tower, remains the perfect place for a pastoral stroll through lush parklands. Polk County has its share of bustling midsized cities, including its two largest: Lakeland, population 92,796, which is on Money magazine’s “Best Places to Live in America” list; and Winter Haven, population 32,577, which is home to Cypress Gardens. Laid-back Bartow, population 16,818, is the county’s seat. A thriving arts scene is also evident, with a string of museums, art centers and theaters. And architecture buffs can see the largest collection of Frank Lloyd Wright’s work in one location on the campus of Florida Southern College. Fans of the Boys of Summer can watch the Detroit Tigers tune up during spring training in Lakeland. But it looks like housing may be Polk’s next big industry, particularly in the Four Corners area where Polk, Lake, Orange and Osceola counties meet. Huge new communities, such as ABD Development’s Providence, with plans for 4,800 homes, are quickly coming out of the ground. In addition, at U.S. 27 and I-4, Boardwalk Land and Development has built Posner Park, a pedestrian-friendly, mixed-use development, combining retail outlets with multifamily housing.